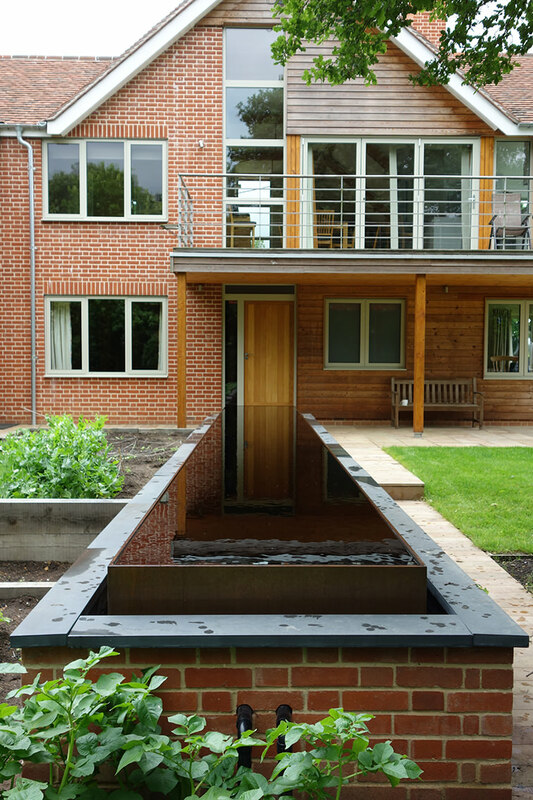 During early 2013 Gedding Mill were invited to quote for the manufacture and installation of a 10 metre long bespoke water feature, for a modern new build property. 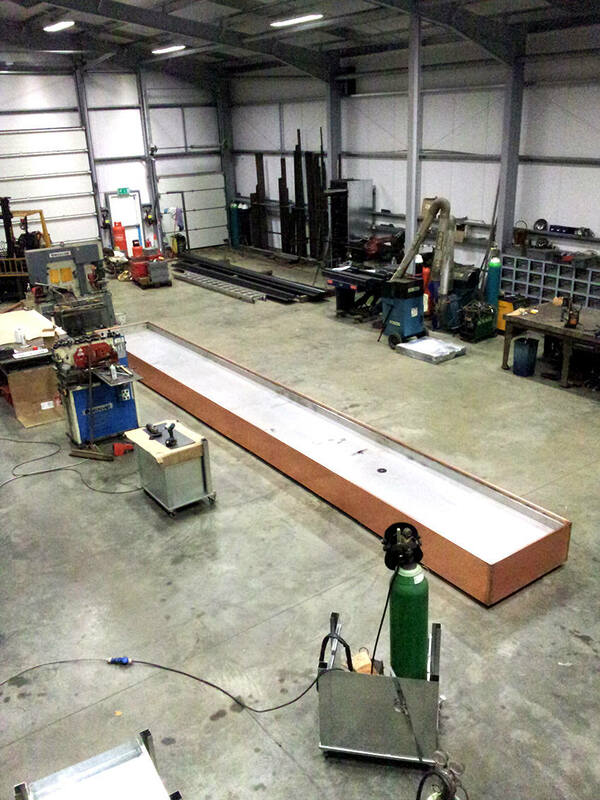 We were responsible for the site measuring, CAD design development, providing samples of finish, manufacture, delivery and installation. The unit comprised of a stainless steel skeletal framework onto which a stainless steel tray was fixed. This was then lined using a black waterproofing membrane. 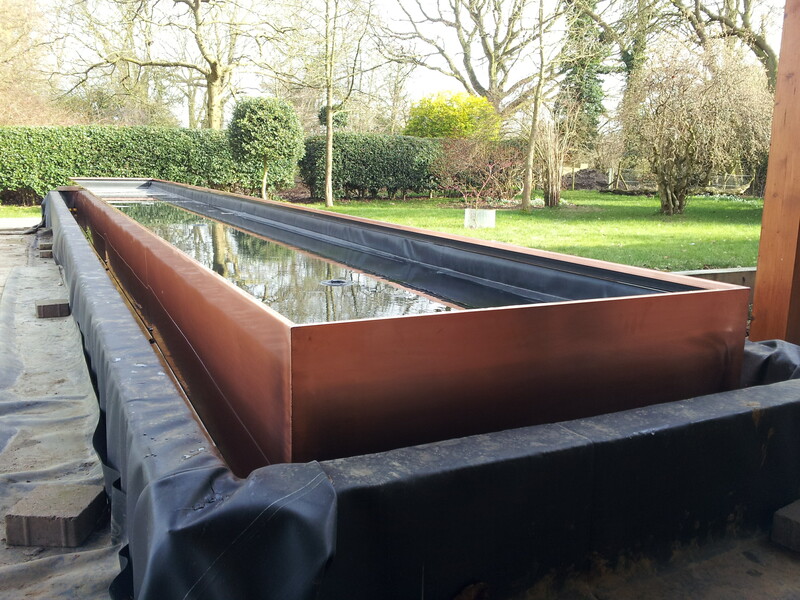 The remaining external structure was then clad in copper sheeting which over time will develop a natural green Verdigris. The feature is pumped with filtered recirculating water.